"Learn What the Gracies DON'T want you to Know!" Learn Secret Techniques from the Trenches of Brazil that have SHUT DOWN Gracie Jiu Jitsu in its tracks! Brazilian Jiu-Jitsu has a long and complex history. Much of what the public knows about Brazilian Jiu-Jitsu comes from the Gracies and the knowledge passed down from the late Helio & Carlos Gracie. Many people don't know that there were other students of Mitsuyo Maeda, the founder of Brazilian Jiu-Jitsu, besides Carlos and Helio Gracie. The 10th degree BJJ red belt is reserved for the true master. 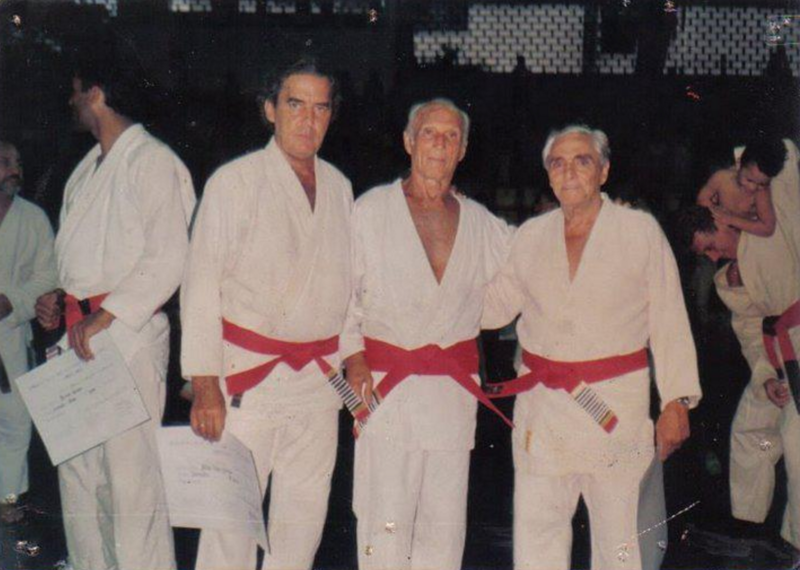 Only a few people have ever been awarded the red belt, and all to members of the Gracie family. However there is another red belt master that has been omitted from history that the Gracies would not have you know about. His name is Oswaldo Fadda (pictured to the right below). Oswaldo Fadda (1921-2005), was a true pioneer of the art who learned Jiu-Jitsu from the same source as Carlos and Helio, and at around the same time. Mitsuyo Maeda (aka "Conde Koma”) is the Judoka (Judo Fighter) who first taught the Gracies. At the same time, he also taught a man named Luis Franca, who in turn taught Oswaldo Fadda Jiu-Jitsu. Fadda was a poor man who lived in the favelas (slums) of Rio De Janeiro. At the time, only the rich could afford to pay for lessons that the Gracies taught. Fadda began teaching classes to the poor - free of charge in unorthodox locations such as parks, the beach, etc. Luis Franca was so poor that he had to advertise his classes in the obituary section of the local newspaper. Eventually, Fadda issued a challenge to Helio Gracie’s school. He famously stated, “We wish to challenge the Gracies. We respect them as the formidable adversaries they are, but we do not fear them. We have 20 pupils ready for the challenege.” It was a bold statement for the time. Helio accepted Fadda’s challenge and set up the matches at his own school. As time went on, Fadda became well-known for his use of leg-locks. At the time, leg-locks were very looked down upon in Jiu-Jitsu, often being referred to ad the “dirty little thief” of submissions. 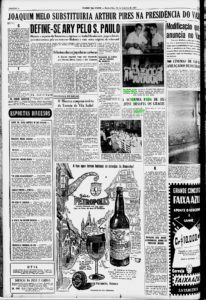 The Gracie schools at the time even referred to them as “suburban” techniques, in order to imply that they were techniques for the poor and lower class individuals. Some people contend that the same mentality still exists today by how certain Gracie controlled organizations limit or outlaw the use of certain leg locks in competitions. Fadda’s team emerged victorious, winning 19 of the 20 matches. Most were said to be won by the use of leg locks. Witnesses to the events stated that Helio’s students would shout “sapateiro” at Fadda’s students when they would attempt a leg lock. It translates to “cobbler”, which was considered a poor man’s occupation. It is also said that Fadda and Helio also grappled, with Fadda being the first person to submit Helio. However, that said, the story is disputed. With a little internet research one will find several references to Helio losing other matches to other fighters of the time that for one reason or another have been omitted from the oral history. After winning the challenge, Fadda claimed to have ended the Gracie monopoly of Jiu-Jitsu. Helio stated, “All you need is one Fadda to show that Jiu-Jitsu is not the Gracie’s privilege.” As time wore on, the Fadda lineage grew weak. The Gracie lineage exploded with the popularization of BJJ in the United States especially after Royce Gracie's appeared on UFC in the 90's. 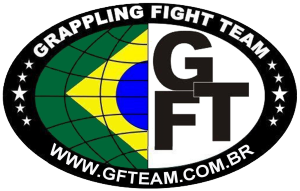 Fadda's lineage still survives today in The Grappling Fight Team (GFT) & Nova Unao. 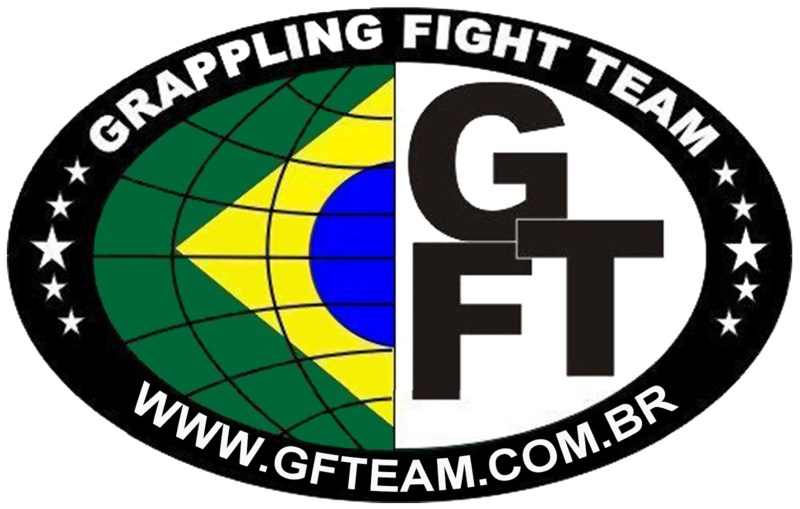 Groundgame is an affiliate of GFT (Grappling Fight Team), formerly known as Gama Filho Jiu Jitsu academy. GFT is a prestigious internationally recognized BJJ organization that has produced numerous world and international jiu jitsu champions like Rodolfo Vierra (pictured above). GFT was founded Julio Cesar Pereira. Master Julio Cesar Pereira is a highly regarded BJJ instructor and a 6 degree black belt. Julio Cesar has been directly involved with the development of Brazilian Jiu Jitsu champions such as Rodolfo Vieira, Vitor Henrique, Ricardo Evangelista, Igor Silva, Denilson Pimenta and many others. One of Carlson Gracie’s students, Pederneiras, joined schools with one of Fadda’s Students, Wendell Alexander, to create the Nova Uniao association, which remains strong today. Groundgame is teaches authentic Brazilian Jiu-Jitsu. We are proud of our lineage and the athletes that we have produced. Our classes are taught by Americans and Brazilian world champions. Our school is an international hub for world class BJJ competitors and athletes that teaches and train 24/7 at our academy. Who knows Jiu-Jitsu better than the Brazilians? Come try a free month of lessons with us. We have beginner fundamental classes throughout the week and on weekends.